The television writer is the person responsible for creating all plotlines, dialogue, characters, and situations. The writer also provides the initial story generation and outlines as well as all script rewrites and polishes. Episodic television writers serve as producers as well and are responsible for both the budget and the overall quality of production. The television writer/producer will be the one to hire the director of a given episode, work closely with the line producer to hire the crew, oversee casting and supervise all post production efforts. The head writer is often referred to as the "showrunner." Executive Producer: In television, the executive producer is the person in charge. They hire, they fire, and they oversee everything from the story line choices, to script assignments, to casting, to production, to the final edit. There can be multiple executive producers on a series, but the one in charge is called the showrunner. Co-Executive Producer: The co-executive producer is second in command and will run the show in the absence of the showrunner or any executive producer. They have a similar level of authority to the showrunner and often speak on their behalf to executives and internal staff. Supervising Producer: The supervising producer is often assigned a number of leadership tasks by the executive or co-executive producers such as running the writers room or attending casting and editing sessions on their behalf. Producer: The producers are often put in charge of secondary writer rooms and given additional duties by the showrunner, co-executive producers or supervising producers to help them prepare for their eventual promotion to Supervising Producer. Co-Producer: A co-producer is someone who made the jump from writer to writer/producer. They are given smaller assignments by senior writer/producers. Executive Story Editor: The level of executive story editor shows that a writer has at least a couple of years under his/her belt as a working television writer and is preparing for the move to writer/producer. They will often be given the opportunity to run groups of lower level writers. Story Editor: Before the early 1990's the story editor helped the writers formulate their stories into cohesive scripts. A story editor today is just a writer with a year or two of professional television writing under their belt. Staff Writer: A staff writer is a writer with two years of experience or less. To become a good writer in any capacity, there is only one way to do it -- write. There are no shortcuts. Television writers are identified and chosen much in the same way you would find a photographer -- through their body of work. As a portfolio is to a photographer, what a "spec script" is to a television writer. A spec script is a sample of your writing that shows other people that you understand both the format of television writing as well as the craft. Your spec can be a script of an existing television show that you have written or an original television pilot. A good spec will show off your skills. The biggest misconception about television writing is that there are too few jobs. Yes, there are a limited number of positions available, but there are really only a handful of truly talented television writers. These writers have toiled away for years honing their craft to make sure that they are the very best at what they do. It will be something you will need to do as well. 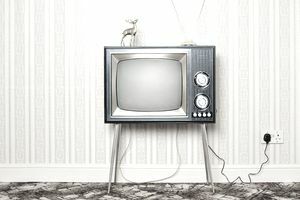 Find out what type of television shows peak your interest. If you love comedy write comedy. If you love drama, write drama. There's no big mystery to it. What Do I Need to Know to Become a Production Designer?